Travel to this little paradise that brings together all the essential elements for a successful holiday: beautiful beaches, extraordinary volcanic reliefs, forests, hills where rice fields are set and a culture that is ever-present and always authentic. 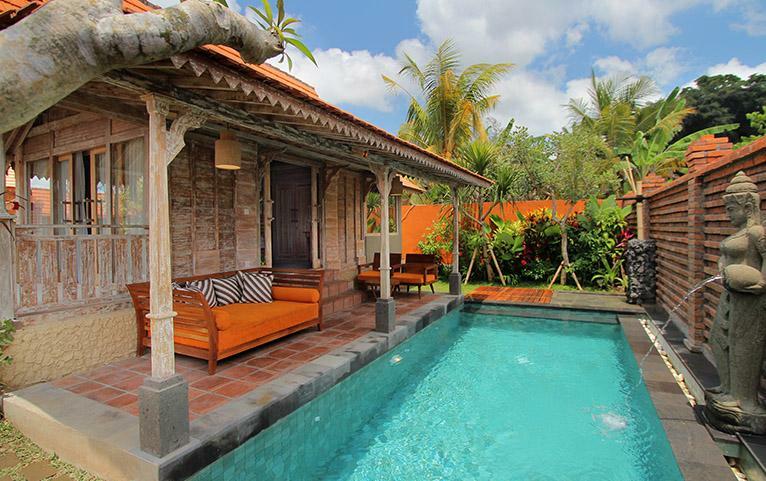 Conveniently located a 10-minute drive from Ubud Monkey Forest, Suarti Boutique Village offers traditional Joglo-style accommodation in exquisitely styled rooms and villas, with free Wi-Fi and a swimming pool. 2 Nights Deluxe Room - 33 sq.m. 3 Nights Deluxe Room - 33 sq.m. 2 Nights One Bedroom Pool Villa - 150 sq.m. 2 Nights Two Bedroom Pool Villa - 250 sq.m. 3 Nights One Bedroom Pool Villa - 150 sq.m. 3 Nights Two Bedroom Pool Villa - 250 sq.m. In ways more than one, Living Asia promises to be the perfect getaway featuring state-of-the-art facilities, fascinating sights and a luxurious ambience. Its convenient location further adds to the welcoming feel and makes it an unforgettable home-away-from-home. The island of Bali belongs to the Indonesian archipelago, located between the islands of Java and Lombok. Nicknamed "The Island of the Gods", a paradise on earth rich in culture and tradition. You will be fascinated by its rice terraces, craft villages, magnificent temples, mountain and volcano landscapes, its warm welcome, its beaches very different from each other. Named the most exquisite island in the world by Travel International magazine, life in Bali is always linked to a concept that connects man, god and the environment. 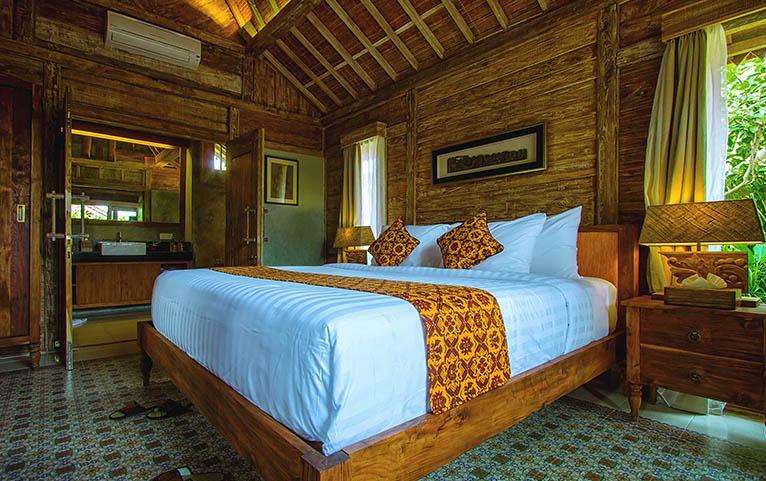 Deluxe Room - 33 sq.m: In a style with traditional charm, the Deluxe room is located in the heart of a beautiful lush and flowery garden, facing the meandering waters. Enjoy all the modern luxury in your own cozy haven that brings together a melody of green and blue in its ambience. One Bedroom Pool Villa - 150 sq.m: Wow, that's it, you are in front of your own private pool (only for holidays, but it does not hurt to dream a little, isn’t it?). It immediately gives a certain charm to the whole vacation, don’t you think? Nestled in a compound surrounded by a walled garden, the Villa comes with a private swimming pool. Forget the little worries of everyday life, because this private villa offers you the luxury of enjoying an invigorating bath in the pool. Two Bedroom Pool Villa - 250 sq.m: Enjoy all the comforts of a "home" to which you can easily add a patio, a garden and especially a swimming pool. Romance with your loved one or play with your kids in the private pool. If you are an early bird, you can sit in a chair, a cup of coffee in your hands, with a delicious basket of pastries and accompany the sunrise. Each package is valid for two adults, with the exception of the Two Bedroom Pool Villa package, which is valid for four adults. Maximum Guest Capacity: The maximum room capacity is two adults and one child aged below 12 years or two adults, for the Deluxe Room and One Bedroom Pool Villa. The maximum room capacity for the Two Bedroom Pool Villa is four adults and two children below 12 years or four adults. See the ‘Extra Guest Policy’ and ‘Child Policy’ for more details. Extra Guest Policy: Extra adults cannot be accommodated in any of the room categories. Child Policy: A child aged between 0-5 years may stay free of charge using existing bedding. Where applicable, a child aged between 6-12 years may stay at a surcharge of USD 10 per night, which includes an extra bed and the package inclusions, payable directly at the resort. Airport Transfers: Just to add a little more comfort to your stay, the resort arranges for your airport transfers, at a surcharge. Selected FABgetaways packages include this on a complimentary basis. Dining: Guests can enjoy a variety of Indonesian and Western dishes at Suarti's restaurant. Other features: The front desk at Suarti Boutique Village is open 24 hours a day. The hotel can arrange car rental, airport transfer and shuttle services. The concierge can arrange valet parking, a safety deposit box and luggage storage. Guests can enjoy relaxing massages at the spa and check emails in the business center. Laundry facilities and a free daily housekeeping service are also available. The hotel has a gift shop. Direct flights to Bali are available from Mumbai. All other major airports offer one-stop flights to Bali. 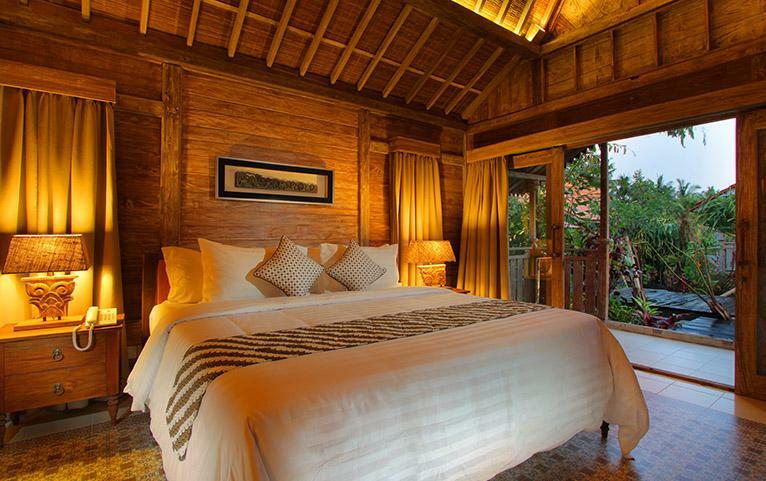 The resort is approximately 35 kilometres away from Ngurah Rai International Airport. Complimentary airport pick-up is included as part of selected FABgetaways packages.